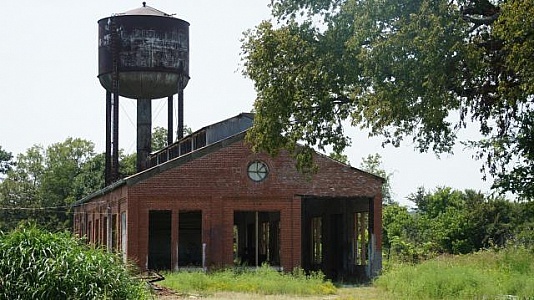 An abandoned train yard along Route 66 in Oklahoma. 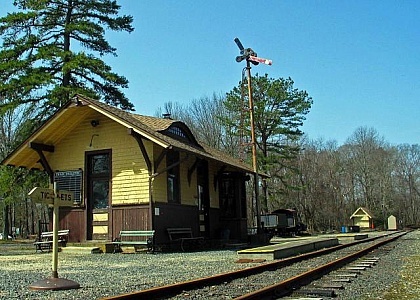 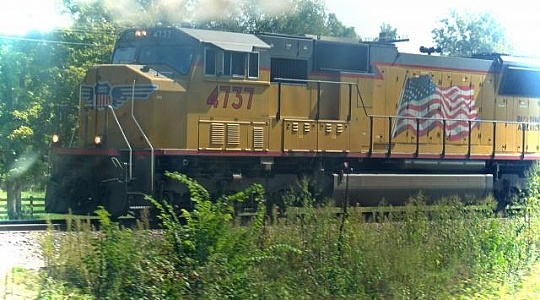 Train with American flag on the side. 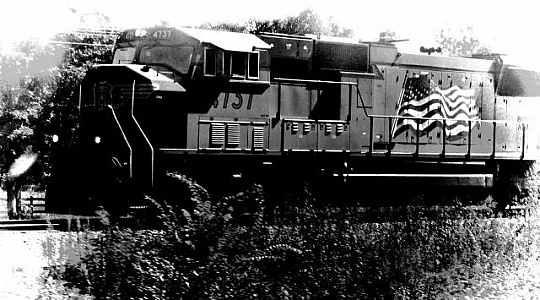 Black and white train with American flag on the side crossing thru a small rural town in Missouri.